Caleb Sheward, a Quaker from Redditch, England, immigrated to America in the 1750s and settled in Pennsylvania. He owned and operated breweries and malt houses in the city of Lancaster and, later, in Willistown Township, Chester County. 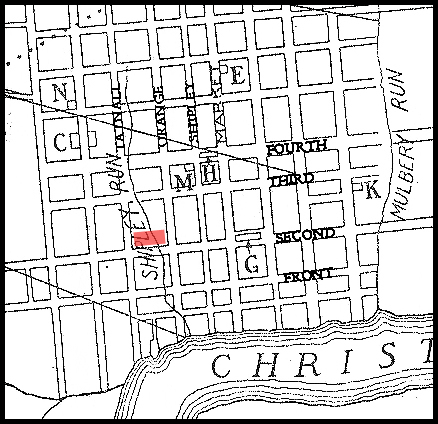 Sometime before 1770, Sheward removed to Wilmington and opened a brewery and malt house on the north side of Second, between Orange and Tatnall streets, two blocks southeast of the Shipley brewery and malt house. Sheward likely selected the location due to its proximity to the fresh water source from Shipley’s Run, which ran directly through the property. When Caleb died in 1785, his wife Hannah Hibberd Sheward assumed control the business. She ably ran the brewery and malt house until 1804 at which time son, Caleb Sheward Jr., took over. 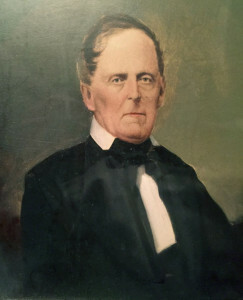 Portrait of Caleb Sheward Jr. The enterprising Caleb, who had been raised in the brewing and malting business, also entered into a partnership with William Abbott at the brewery on Dock and Pear streets in Philadelphia in 1805. That business lasted only six years. The Sheward family brewery next passed to the hands of Caleb Jr.’s son, William Sheward, who it until 1843, when it was purchased by the Plunkett distillery. At that point, beer production ceased forever at the old Sheward brewery. William relocated to New Garden Township and, later, to South Fayette Township, Pennsylvania where he continued in the brewing and malting trade until his death in 1865.